Now available from Rising Sun Honda , the Swampfox range of ATV tyres are lightweight radial ply tyres designed for environments where the terrain is hard-packed and loose. 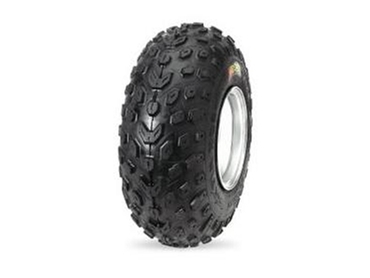 These ATV tyres give a smooth, predictable ride on solid and loose terrain and the radial casing provides a larger footprint for increased traction. The unique V-shaped pattern design makes for optimal straight-line traction and clean out, while the natural rubber compound adds extra puncture resistance and extended tread life. These ATV tyres are easy to fit and are delivered and installed quickly and efficiently, Australia wide.